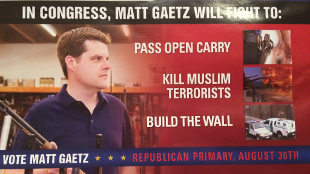 A 2016 campaign mailer listing some of the pillars of Gaetz's policy platformWIKIMEDIA, BABOONXFreshman Representative Matt Gaetz (R-FL), introduced a bill into the House’s Science, Space, and Technology Committee on Friday (February 3) that would essentially terminate the US Environmental Protection Agency (EPA). “To better protect the environment we should abolish the EPA and downstream resources to states for more effective & efficient protection,” Gaetz posted on his Facebook page on February 2. As of this afternoon (February 6) the text of “H.R. 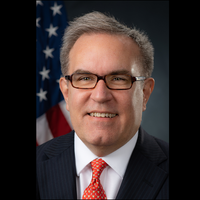 861 – To terminate the Environmental Protection Agency” was not available. But several of Gaetz’s GOP colleagues signed on to cosponsor the bill. 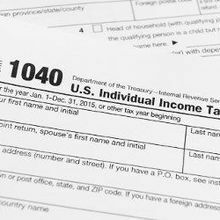 Barry Loudermilk, who has represented Georgia’s 11th District since 2015, Thomas Massie, a Representative from Kentucky, and Steven Palazzo, who has represented Mississippi since 2011, all signed on to the bill. 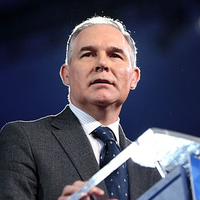 This is not the first Congressional attempt to abolish the EPA. In 2011, two GOP lawmakers, Senator Richard Burr (R-NC) and Newt Gingrich (R-GA), introduced legislation to terminate the federal agency. Both of those bills failed to make it through the Senate. In any case, a bill calling to abolish the EPA is unlikely to make it through the legislature. 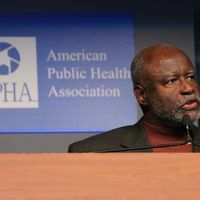 “It's hard to imagine Congress being willing to do so, and the American public would almost certainly virulently oppose such a move,” University of California-Los Angeles Law School professor Ann Carlson told Bloomberg BNA back in March.